MMA fighter Conor McGregor has directly addressed his assault charges following his alleged attack on a bus at a UFC press conference. The Irishman is currently awaiting trial after being charged with three counts of assault and one count of felony criminal mischief. Although he’s broken his silence on social media previously, McGregor has for the first time directly addressed the attack on his Instagram page. Two days ago, (April 14), the UFC fighter posted a photo of himself, which appears to have been taken while on holiday. Seen sitting in a t-shirt and shorts, with a palm tree in the background, McGregor is looking off into the distance appearing to be in a reflective mood. It’s only a lesson if you learn from it. I learn everyday. Although this isn’t guaranteed to be a reference to the alleged attack, fans are pretty convinced it is. Receiving over 1.7 million likes at time of writing (April 16), the majority of people have shown their support to McGregor, applauding him for seemingly realising his mistakes. Keep the strength man. Always with the head on during your battle. Forget bad vibes. Just learning everything is possible!!! The comments section was also filled with people calling McGregor ‘champion’, ‘the king’ and ‘the greatest of all time’ showing they’re still fans, despite the charges he’s facing. Some people were less convinced by McGregor’s reflective post, criticising the 29-year-old for his actions. Delusions of grandeur. Can’t handle being yesterday’s news. Why not show a picture of you in handcuffs? Disgraceful behaviour from the MMA version of the people’s champ. The upload comes a week after McGregor posted a cryptic message to Twitter following his arrest. On April 9, the fighter shared a photo which showed himself appearing to be escorted into a car accompanied by a prayer sign emoji. The Irishman has been ordered to return to New York on June 14 for his next court hearing, after being released on $50,000 bail. He handed himself into the New York Police Department after he allegedly crashed the media day for UFC 223 at the Barclays Centre, with his entourage of around 30 men on April 5. 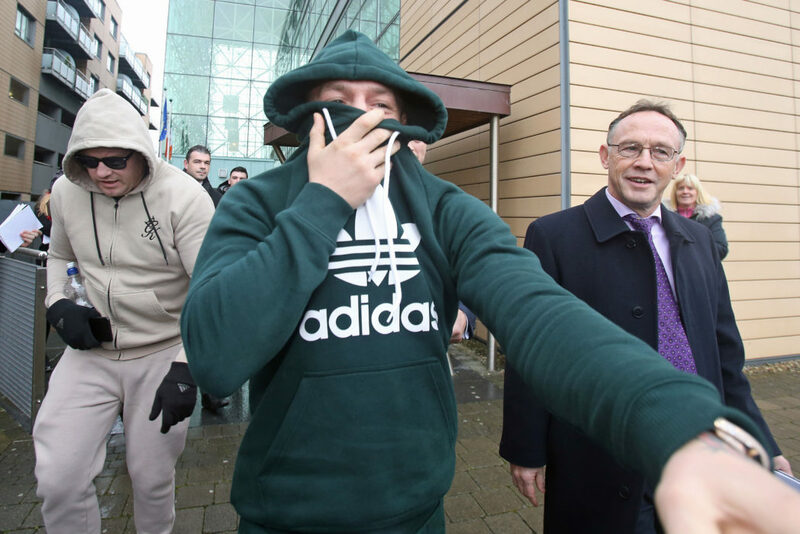 Footage shared on social media shows McGregor allegedly attacking the bus fellow UFC star Khabib Nurmagomedov was travelling in, leaving lightweight fighter Michael Chiesa injured. 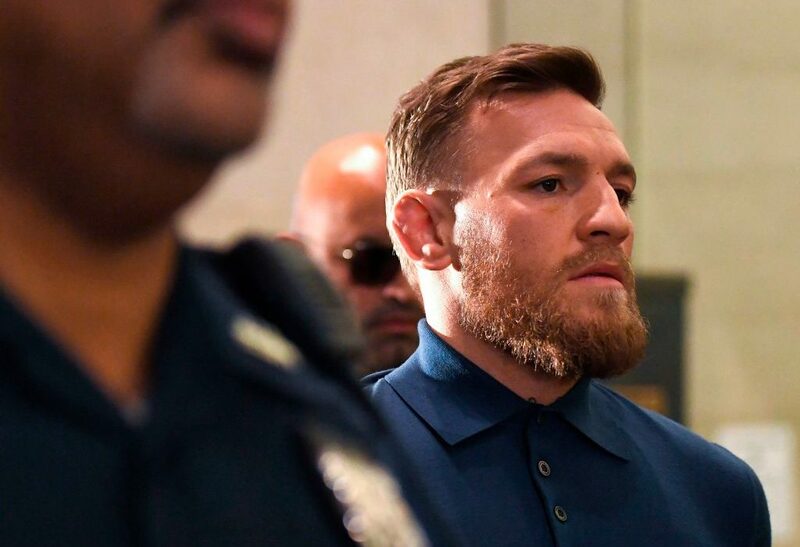 Despite having no previous criminal record, McGregor could face serious jail time as a felony charge could reach a maximum of seven years. Meanwhile, assault charges hold a maximum sentence of a year. He’ll also have to pay for damages incurred during the alleged rampage which led to three fights being cancelled. Ray Borg v Brandon Moreno, Alex Caceres v Artem Lobov and Michael Chiesa v Anthony Pettis were all called off following the incident.